The Eastern view of parenting, as defined by best-selling author and self-described "tiger mother" Amy Chua, is that children should be pushed to excel at all costs. Parents needn't worry about their happiness, she argues, only their success. But now a Michigan State University scholar is refuting that theory. In her research, Desiree Baolian Qin -- who, like Chua, is a Chinese mother -- found that high-achieving Chinese students were more depressed and anxious than their white counterparts. And contrary to the tiger mother philosophy, Qin said, a child's happiness is vitally important. "I strongly believe that happiness matters tremendously for children to develop well, so they don't just have success now and then later on experience maladjustment," said Qin, assistant professor in the Department of Human Development and Family Studies. "It's really important for parents to pay attention to this." 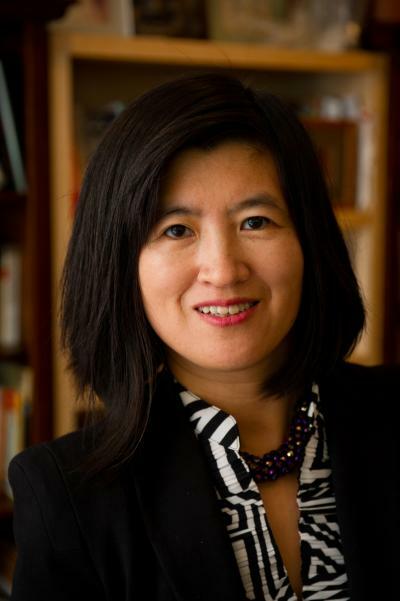 In her best-selling book, "Battle Hymn of the Tiger Mother," Chua, a Yale Law School professor, created a firestorm of controversy for her hardline parenting. In the book, Chua describes how she demanded straight A's from her two daughters and drilled them for hours every day on the piano and violin. The girls were not allowed to watch TV, be in a school play or have a play date with friends. Qin called these restrictions "ridiculous." She said she and her husband, Tom Buffett, would never keep their daughters -- Olivia, 4, and Helena, 2 -- from having play dates or other activities that build social and emotional skills. "Children need the ability to work well with other people, to relate," Qin said. "I feel strongly that I won't raise my kids just toward success at the cost of other things. More than anything, I want them to be well-rounded, emotionally healthy kids." Qin was raised in rural China by her grandparents, whom she described as "fairly lenient." She came to the United States in 1996 to attend Harvard University, where she earned a doctorate in human development and psychology. She now lives in East Lansing with her family. In a recent talk at the Asian American Psychological Association Convention in Washington, D.C., Qin compared Chua's hard-driving parenting style with the often "soft" and "forgiving" Western approach. The lecture was titled "Everything You Ever Wanted to Know about Chinese Tiger Mothers but Were Afraid to Ask." Qin believes the overall negative reaction to Chua's book was unfair and that there are some themes Western parents can learn from. For example, she said many parents in the United States are so worried about injuring their children's self-esteem, they overpraise. "I agree with Amy Chua that a child will develop strong self-esteem when they really master something," Qin said. "So that self-esteem should be grounded in their achievements, their ability, rather than empty praises from parents and teachers saying 'great job' for drawing a circle or 'great job' for just about anything." Qin said there's nothing wrong with having high expectations for your children. The problem often comes in the way those expectations are communicated. In a study that will appear in a forthcoming issue of the journal New Directions for Child and Adolescent Development, Qin found that Chinese immigrant parents constantly pester their children to excel -- a longstanding practice in their native China. This includes comparing the child to siblings -- as in, "Your sister got straight A's and went to Harvard, why can't you?" In another paper, to be published in the Journal of Adolescence, Qin found that Chinese students are more depressed and have lower self-esteem and more anxiety than white students. The findings are based on survey data from nearly 500 high-achieving students at a prestigious East Coast high school. Qin said the majority of Asian American children come from immigrant families where parents face additional challenges in raising their kids. While the children attend U.S. schools and tend to learn English faster, the parents often work with fellow immigrants in Chinese-run businesses and thus are far less influenced by American culture, she said. This issue, which researchers call the acculturation gap, can lead to alienation and conflict within families, and could become more widespread as the immigrant population grows, Qin said. Currently, about 20 percent of children in the United States have at least one immigrant parent -- a number that's predicted to jump to 33 percent by the year 2040. Ultimately, Qin said, "There is a healthy middle ground between the parenting extremes of the East and West. What is most beneficial to children, regardless of the culture, is clear and high expectations in a warm and loving family environment."